Cookies With Santa is a time-honored Inside Columbia tradition for many parents, grandparents and children in the community. Over the course of more than a decade, thousands of Columbia kids have enjoyed the free event, featuring holiday-themed coloring pages and festive frosted Christmas cookies. 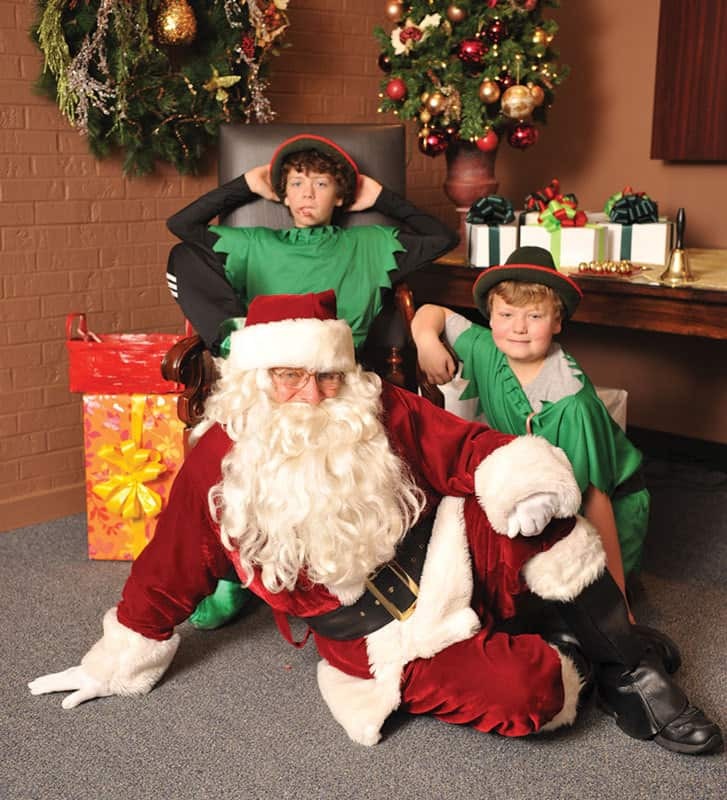 The star of the show is Santa himself, and youngsters have a chance to sit on his lap and tell him what they’d like for Christmas while a professional photographer takes a keepsake photo. Many families have collected photos from each year — some all the way back to the event’s beginning. Jessica Card and her husband, Josh, have brought their daughter Eleanor to Cookies With Santa for three years. Inside Columbia Publishers Melody and Fred Parry also have fond memories of Cookies With Santa. They regularly brought their two boys, Max and Nick, for many years while the boys were growing up. Today, Max is in college, and Nick is headed there next year. The event has followed the magazine as its office has changed locations, but this year Inside Columbia is excited to announce that Cookies With Santa is being sponsored by Riback/DKB Kitchen & Bath Showroom. It will take place at the showroom at 1729 W. Broadway from 9 a.m. to noon on Saturday, Dec. 16. A new location isn’t the only change happening to what’s become an eagerly anticipated annual event in Columbia. Families will be able to browse the showroom, enjoy special cooking demonstrations and take home free recipes. Of course, there will be complimentary cookies along with hot chocolate, coffee and water. After the event, parents will receive their individual photos via email. So mark your calendar and make plans to attend. We ho-ho-hope to see you there!